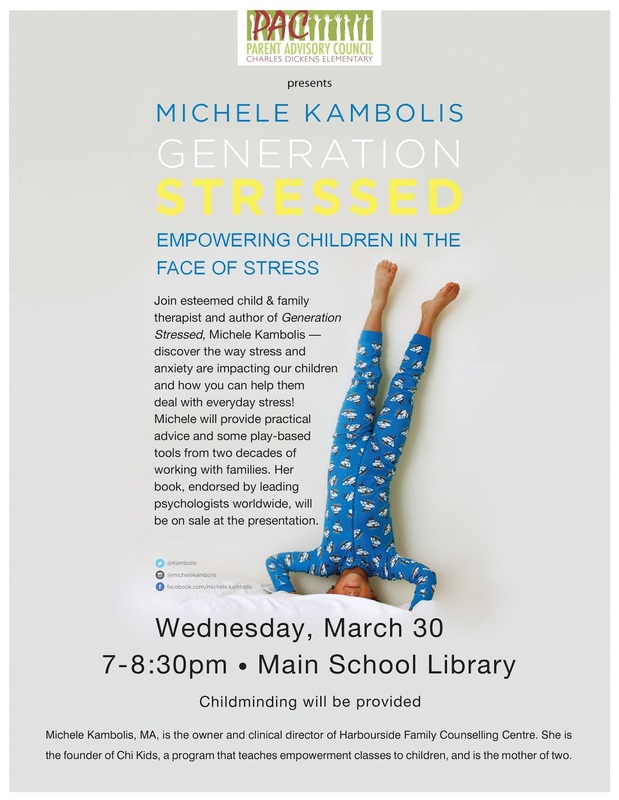 Save the date to hear renowned child & family therapist, Michele Kambolis, speak on Empowering Children in the Face of Stress (see info below). Her book, endorsed by leading psychologists around the world, will be on sale at the presentation. Donations for SPRING FLING's "Made It"